Here we are, in the dead of winter, and garden harvests seem at least a few months away. 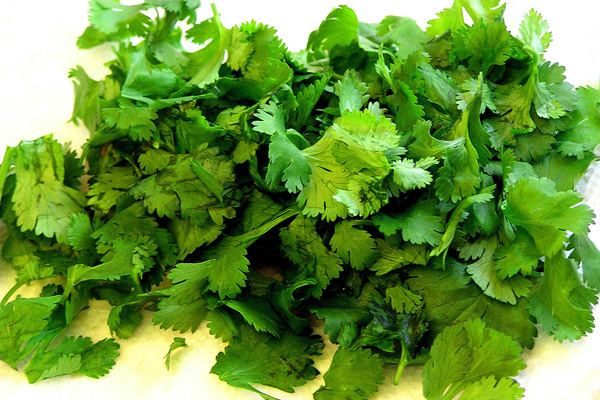 Believe it or not, there is a way to get some fresh-grown flavor into winter dishes, and that’s by growing herbs indoors. It has definitely become colder. This week has turned out to be pretty wintry, a sign that weekend yard work needs to come to a close for the year very soon. This includes your vegetable garden. There are certain chores that you need to do before the ground freezes and is covered in snow. 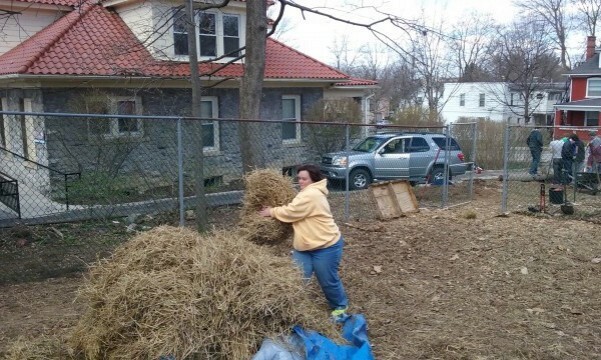 These are chores that help ensure a successful 2018 gardening season by preparing the soil and helping to prevent diseases. 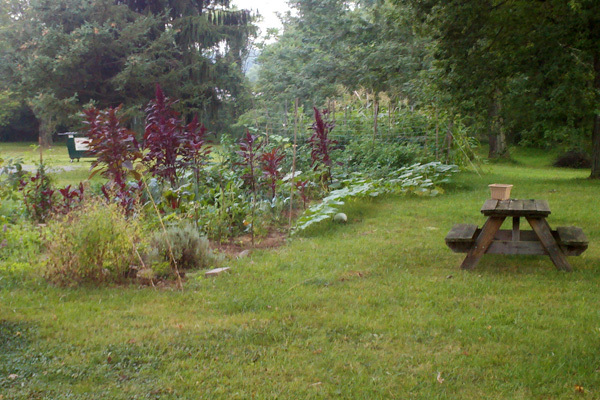 Gardeners all across Central Pennsylvania are having a great year. Good rain in most places and warm temperatures have led to bountiful harvests of all kinds of garden vegetables. If you are a gardener, you know how quickly you can be overwhelmed with a big harvest. 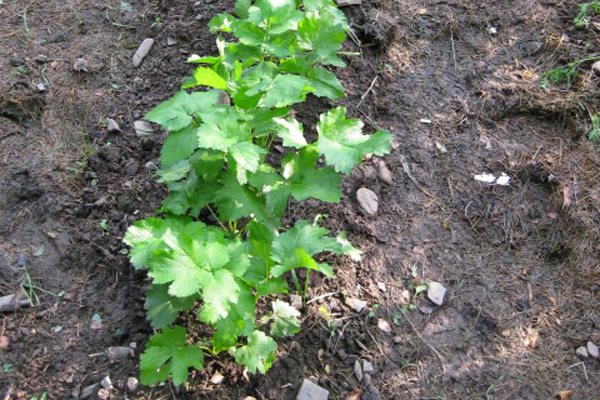 Zucchini is a prime suspect, as having as few as three plants can quickly lead to too many zukes. It’s July in Central Pennsylvania, a great time to be a gardener. If you’re a three-season gardener like me, the spring vegetables have run their course and summer vegetables and herbs are in full swing. There’s always plenty to harvest, and many of us are already overwhelmed by zucchini and cucumbers. 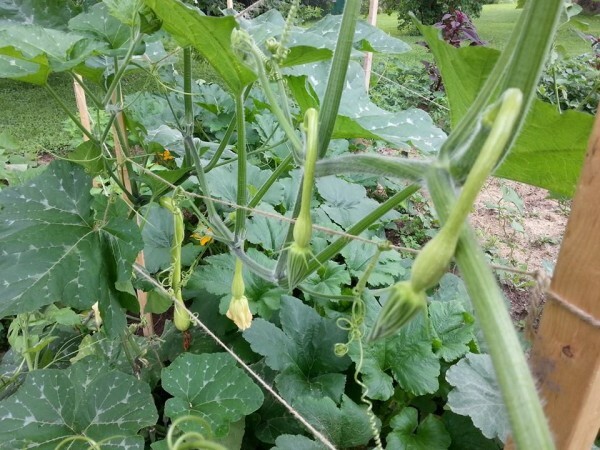 Tomatoes are ripening, and young winter squash and pumpkins are showing up on vines. 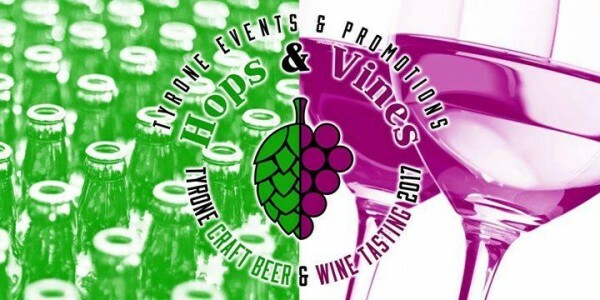 Local Food Notes for June 23 includes Bee Tree Berry Farm u-pick, “bites on boards” at Tait Farm, beer and wine tasting in Tyrone, and a gardening seminar put on by Penn State’s Student Farm and the Lemont Barn. Gardening season is off to a little bit of a rocky start. Cool temperatures in May have put a damper on planting, as soil temperatures have hovered in the 40s to mid-50s, too low for germination and growth for many plants. A very wet month has also caused its own set of issues (State College has set a record for most days with rain in a spring). 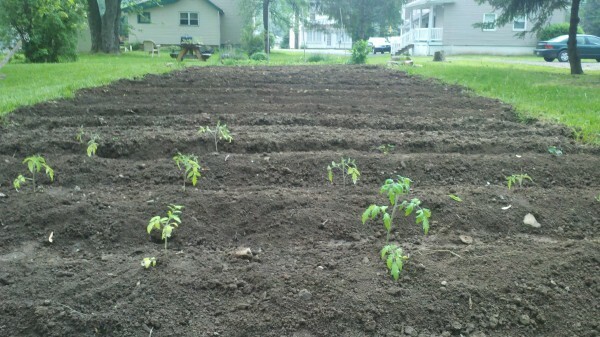 Regardless of the weather, many of us have kicked off the summer gardening season and have plants in the ground. 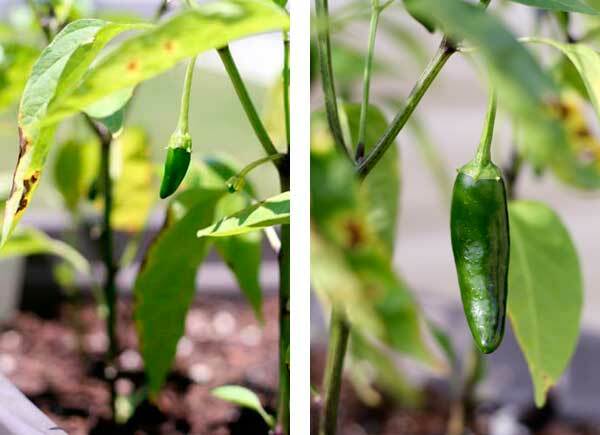 This early stage, when the plant is small, is vital for later gardening success. You need to protect the plant as much as possible, and keep in mind some things that will help ensure your garden is bountiful later this summer. Here’s five tips for early season gardening success. You Bet Your Garden’s Mike McGrath’s in town this weekend…five reasons to go see him! 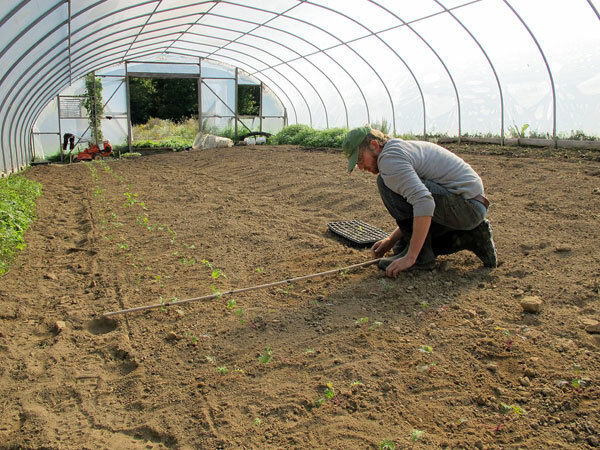 If you are a gardener and a WPSU listener, chances are quite good that you’ve heard of Mike McGrath. The long-time garden writer has a fantastic show “You Bet Your Garden” that runs Sundays at 11:00 a.m. on WPSU. He’s coming to State College this weekend for a Friday evening dinner and a Saturday morning talk, both benefitting WPSU. Continue Reading: You Bet Your Garden’s Mike McGrath’s in town this weekend…five reasons to go see him! For some of us, the frost this morning ended the garden season. For others who covered or grow cold hardy vegetables, things are still going but drawing to a close. WPSU’s Conversations Live recently had an episode where host Patty Satalia was joined by Tom Butzler, a Penn State extension horticulture educator; Rob Crassweller, a horticulture professor at Penn State; and Carla Hass, a member of Penn State’s Master Gardener program and senior lecturer in Penn State’s Eberly College of Science. The four of them discussed how to get your garden ready for fall. If you are like me, you are a gardener who doesn’t think of gardening as a spring-summer thing. Autumn may be to many people a time to rake leaves and watch football, but for gardeners, it’s still time to grow. There are some advantages to gardening in the autumn. For one, it’s not near as hot, and you’re not limited to mornings and evenings. But there are other reasons to keep on playing in the dirt. As a glance at most lawns will tell you, we’re currently in a drought. The data backs that up. State College is currently experiencing its third-driest summer, second-driest year, and is in a moderate drought area as per the United States Drought Monitor. Early July is sort of a gardening doldrums period for many. We’re right on the edge of harvesting a lot of vegetables, such as corn, tomatoes, peppers, etc. But we’re not quite there yet, so we wait. About 10 years ago, one of the most ridiculous books ever published on gardening, The $64 Tomato, hit the bookstores. Basically, it was a tale that was less about gardening and more about how bad of a gardener its author, William Alexander, was at that time (no idea if he got any better). A true community garden, that will enrich the learning of adults with disabilities and provide healthy organic food for them and their families, is what can be found at Taproot Kitchen’s Mazza Community Garden. Taproot Kitchen was founded about a year ago. Sharon Schafer dreamed up the idea for Taproot Kitchen, but she wants credit given to everyone who is involved, including Jackie Bonomo, Woody Wilson, and Spring Creek Homesteading, who have all played important roles. They also received a lot of advice from Cutting Edge Tree Professionals. Thanks to a statewide coalition of concerned advocates, the Pennsylvania Department of Agriculture has clarified that seed libraries and other non-commercial seed exchanges are not subject to the cost-prohibitive licensing, labeling and testing requirements required of commercial seed distributors in the Seed Act of 2004 (Seed Act). In providing this clarification, Pennsylvania sets a precedent to protect and encourage seed libraries throughout the commonwealth. The statewide coalition, led by the Pennsylvania Association for Sustainable Agriculture (PASA), Grow Pittsburgh (GP), the Public Interest Law Center, and members of the Pittsburgh Food Policy Council (PFPC), as well as individual growers and organizations, worked with the Pennsylvania Department of Agriculture (PDA) to clarify protocol about the Seed Act. The Act was originally applied to a seed library at the Joseph T. Simpson Library in Mechanicsburg, PA, which severely limited its operations as a result. Seed libraries are nonprofit, community-based organizations. 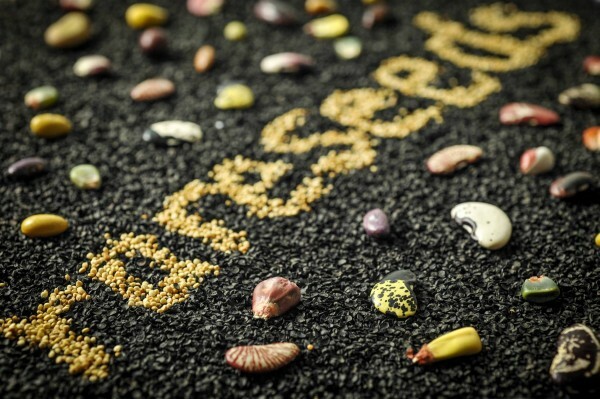 Through seed libraries, growers maintain and increase biodiversity, as they save seeds from season to season, and share seeds with one another. The number of seed libraries has surged in recent years; there are an estimated 26 seed libraries across the Commonwealth, with more than 350 nationwide. Concern about the compliance with the Seed Act has been a deterrent to seed library operations in Pennsylvania. 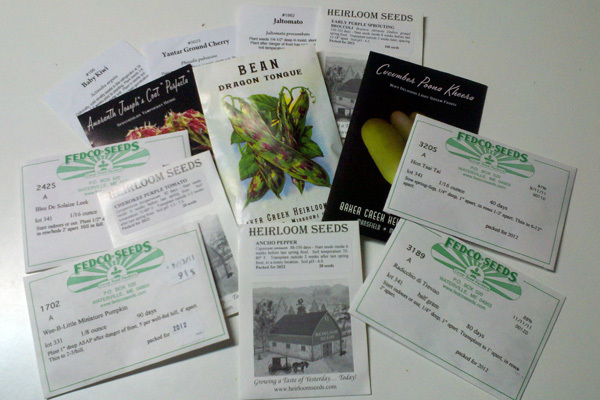 Back in early January 2015, I wrote about early online seed shopping, and listed some of my favorite vendors. Getting an early start on buying seeds online has its advantages, for example you’re ensured to get them on time for planting since you’re beating the rush, and there are very few seeds that are sold out. But, that doesn’t mean you can’t order seeds now. 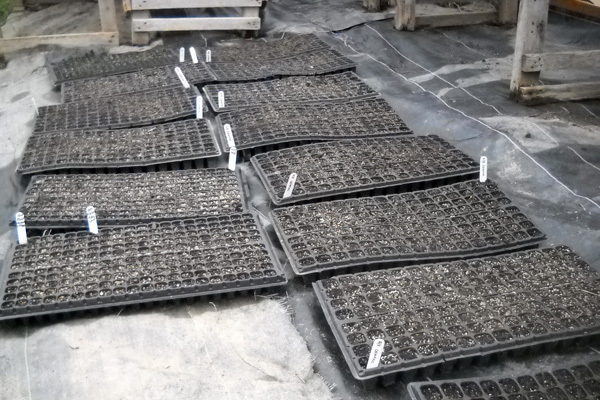 The earliest seeds that need started inside, such as onions, pansies, and leeks, can be planted as late as St. Patrick’s Day, while nightshade family members like tomatoes, eggplants, peppers, and ground cherries need to be started by the last week of March. So, if you order soon, you’ll likely get your seed order on time. One of the advantages of ordering seeds online is greater selection. 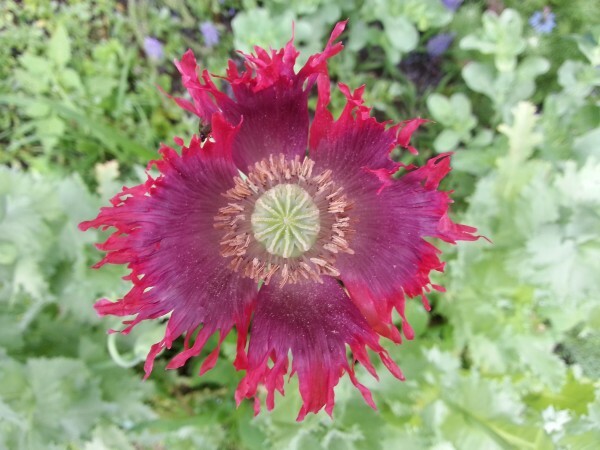 There are just so many unusual, delicious, and easy-to-grow varieties that you can only find via an online seed catalog. 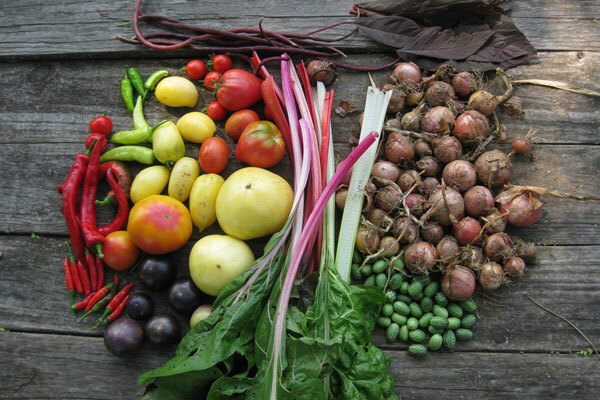 Harvest from your garden in January…in central Pennsylvania? After this week’s storm dumped anywhere from an inch in northern parts of central Pennsylvania to two feet in southern portions, gardening may be the last thing on many minds this week. However, on Sunday, I managed to harvest some delicious brussels sprouts. How? 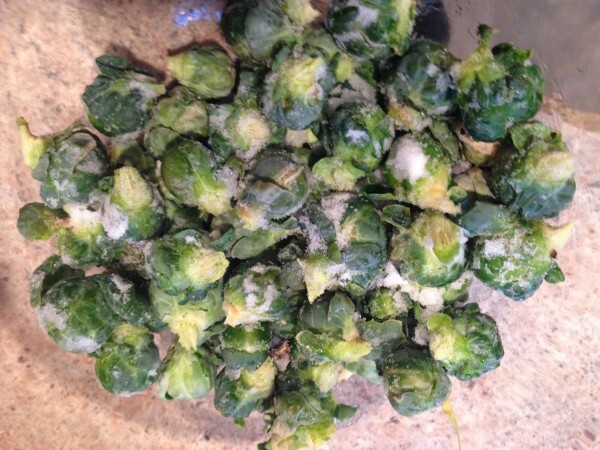 Well, believe it or not, brussels sprouts can take a lot of cold. In fact, when you harvest them now, they are outright delicious. The same is true for a lot of cold-hardy vegetables, the cold ups the sweet factor and they are just plain good. 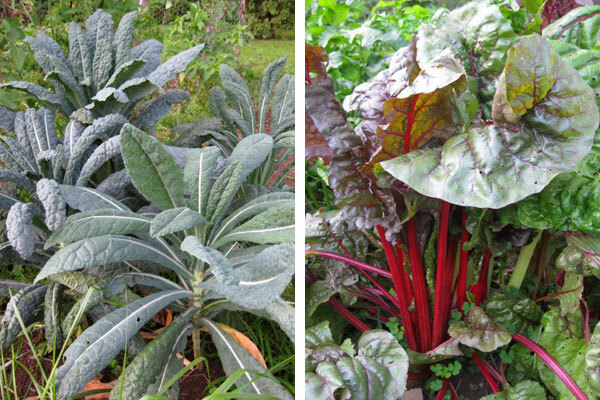 In fact, you can harvest a variety of tasty things to add to your winter table. How can one manage this in the land of icy winds and snow? 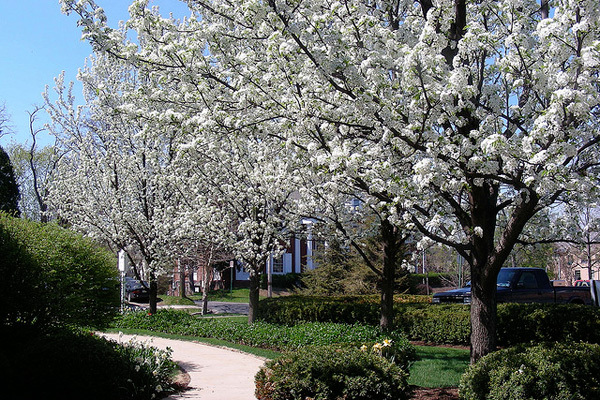 With some careful planning in the spring and summer, you can turn gardening into a four-season activity. 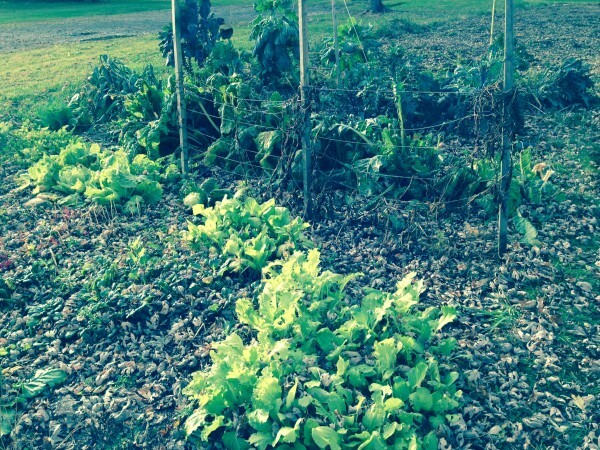 Continue Reading: Harvest from your garden in January…in central Pennsylvania? Late fall is hardly the time you think about gardening. 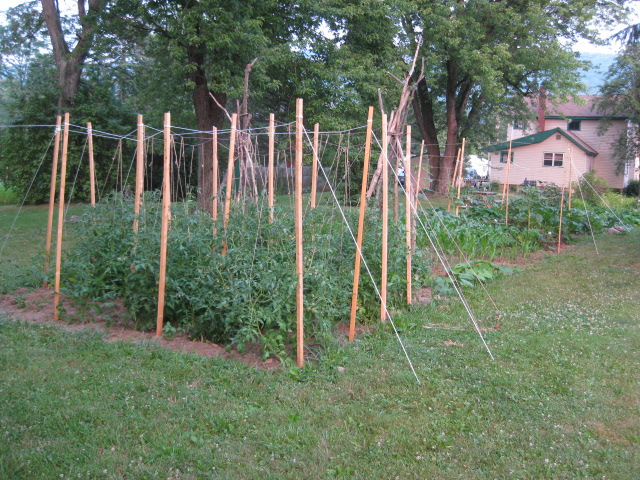 Usually you are putting your garden to bed by cleaning up the remnants from the summer’s growing season. 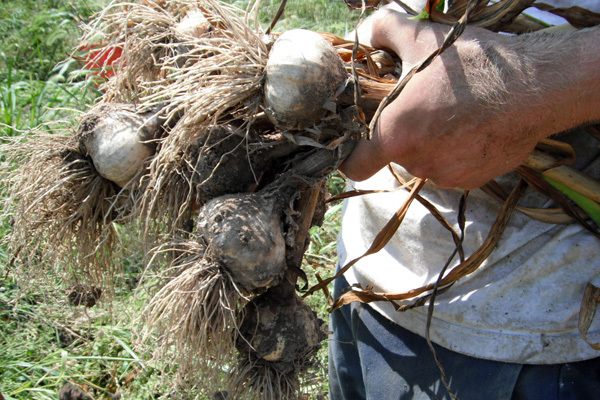 But as you clean up, remember that planting small cloves of garlic will yield big garlic bulbs next summer! Garlic is probably the easiest plant to grow. 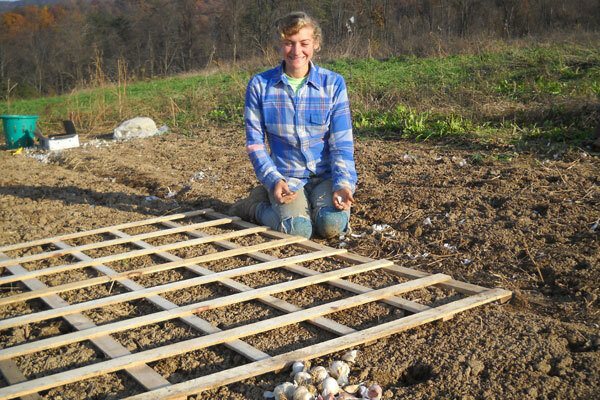 I was told by a vendor from the Downtown State College Framers Market (the one on Fridays) that NOW is the time to plant garlic. She grows organic garlic and sells bags of bulbs (about 10 in each bag) for $6. That was more than I needed to plant, but since I forgot to plant garlic last year, I am using the rest for cooking this fall. 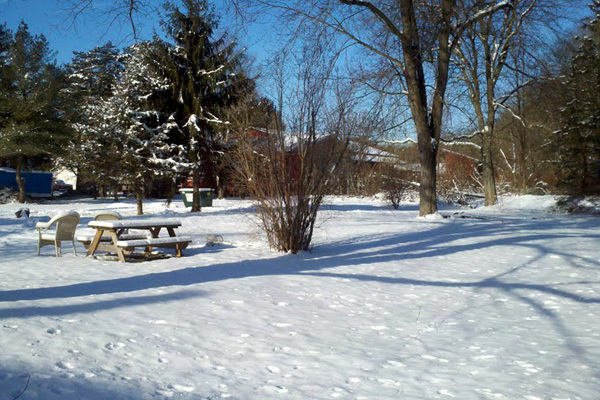 So, even with this week’s mild weather, the reality is we are staring another Central Pennsylvania winter in its face. With cold, snow, and ice looming on the horizon, many of us are not thinking about gardening, but right now is a vital time for the success of next year’s garden. This week we offer a way to eat well and help Friends & Farmers, celebrate 13 years of zany Austrian food experiences at Herwig’s, and how you gardeners can save big at Tait Farm. Rain is mostly a gardener’s best friend. While you can water during dry spells to keep plants alive, nothing seems to give them what they need to grow and produce like a good soaking rain. However, too much rain can be harmful to your garden. Along with causing weeds to grow like crazy and keep you away from chores, wet weather is what garden fungal diseases like blights and powder mildew thrive on. Combine that with cooler weather, such as this weekend’s fall feel, and you have the potential for large-scale garden losses. - Give them some air: Good air circulation enables plants to dry out properly between rains, sometimes preventing fungal spores to take hold. You can do give them the circulation you need with tomato plants by removing lower leaves and ensuring they get good support. Be sure you do this sort of thing when plants are dry, as you can actually spread disease by fussing around in a wet garden. - Water properly: If we indeed return to typical summer weather and have a dry spell (which would be a big help in fighting garden diseases), then at some point we’ll have to water. It’s much better to water plants via drip irrigation hoses or by putting a hose at the base of a plant than it is to water from above. Why? Because by wetting the leaves, you’re raising their chances for getting a fungal disease by giving the spores some much needed moisture. - Keep them fed: Giving plants fertilizers, organic or non-organic, helps keep them healthy and better able to fend off diseases. Also, it’s a good idea to keep weeds under control. Along with hosting diseases, they compete with the good plants for soil nutrients. 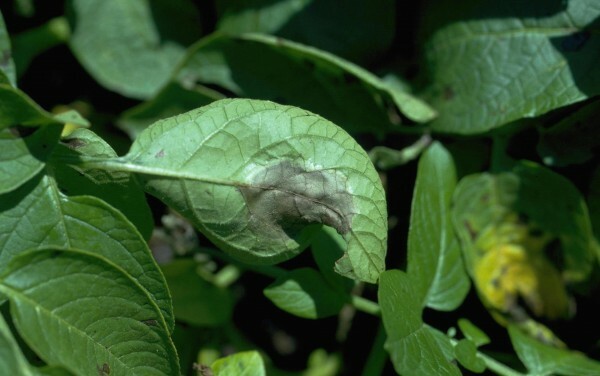 - Spray: While many garden diseases are terminal, if you catch them early enough, they can be treated. There are a variety of sprays out there that work, including homemade organic ones that use common household products such as baking soda or even milk. The goal here is to make the environment hostile to fungus without harming plants. One I use is neem oil, which you can purchase at many big-box stores, garden centers, or online. Neem has an added bonus, it also works as an insecticide. Speaking of that, many garden pests such as cucumber beetles transmit garden disease, so be sure to keep them under control as well. - Mulch ‘Em: Black plastic mulch raises soil temperatures to the point where fungal spores are killed. Mulch such as grass clippings spread around the base of the plant helps prevent soil-born pathogens from being splashed on the plant during heavy rains. And, there’s even reflective mulch out there; the reflected light confuses insects and keeps them away from the plant during early stages of growth. Be Vigilent: It’s a good idea to take a walk around the garden and check plants for any changes in leaf appearance or stunted growth. There are several disease databases out there for gardeners that are available via a simple web search. Even if you don’t do anything else in it that day, give your garden a once over. The idea of no-maintenance gardens is a foreign concept to me. There’s always something to do in the garden. 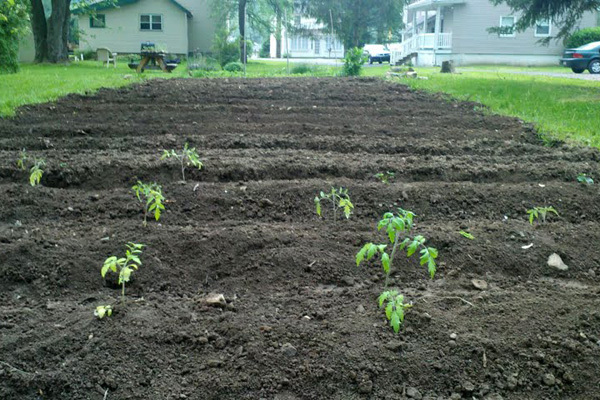 You put in a lot of work leading up to now, with prepping the soil, sowing seeds, transplanting plants, etc. We live in Central Pennsylvania, where the weather can go from July to October in less than a day. This morning, under slate gray skies, a chilly wind blows and it feels more like we are getting close to Halloween than Memorial Day. As can be the case with these late spring cold snaps, frost is a possibility. Right now, looks like Saturday morning is the best chance for it. 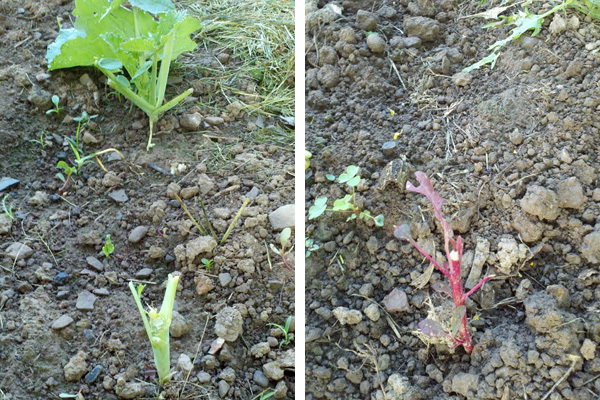 This might be bad news for your garden. 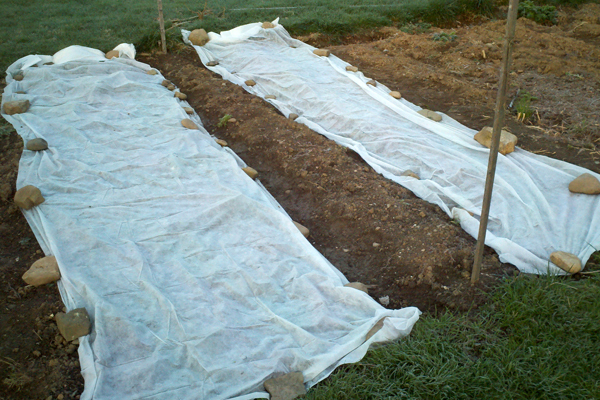 However, you can take steps to avoid a frost catastrophe that could cause you to replant. If you are starting a garden this year in your yard, the first step is definitely the mot important—choosing a proper location. While having the garden close to the house makes harvesting more convenient, the absolute most important thing to consider is sunlight. Most fruits and vegetable are sun-loving plants, and need full-sun. Full-sun means at least six hours of sun a day. 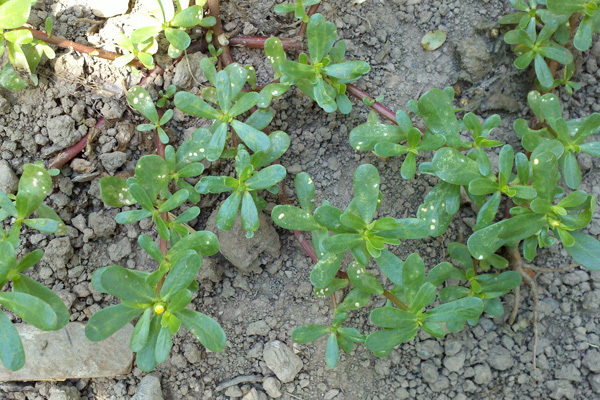 For full-sun plants, sun is the most important factor for successful growth, and no amount of fertilizer can help full-sun plants if they are not getting enough sun. Next, you want to make sure that the spot you choose has good drainage. Pooling of water is not good for plants, and can lead to problems such as disease and rot. - You live in Central Pennsylvania, not central Carolina: Weather here is highly changeable this time of year, and we do not follow a linear increase in daily temperatures in spring. So, while it was near 80 Saturday, guess what? The temperature Thursday and Friday probably will stay in the 40s, and drop around freezing at night. Not good for any tomatoes caught out in that environment. I follow the weather as a hobby, one that admittedly is as much of a passion to me as gardening and cooking. People I know are aware of this quirk in my personality and often ask me about the weather. Recently, they’ve ask if there’s any reprieve in sight from our recent descent into the winter doldrums, and unfortunately for spring lovers, it doesn’t appear that we are heading for mild weather anytime soon. However, even in the greyest and coldest days of winter, we gardeners can find a reprieve in the seed catalog. Now’s the time to order seeds, as seed companies are becoming very busy with orders. You really want to have the seeds by March, because some varieties require you start them inside in March/April so they create ripe produce for your summer table. One of the better garden writers out there is Doug Oster, of the Pittsburgh Post-Gazette. Last week, he wrote about tomatoes and how to save them for, believe it or not, Thanksgiving dinner. That got me thinking; despite our cold morning last Sunday (we got down to 30 degrees in Port Matilda) somehow, someway, my tomato plants survived it despite not being covered. So, this idea of fresh tomatoes in November has a lot of appeal to me and given our mild weather forecasted for the next week or two, any remaining tomatoes can be encouraged to ripen. While you can plant garlic in the very early spring, between now and late October is the best time to get your garlic bulbs in the ground. By planting garlic now, you can get bigger, better quality bulbs next summer. - Softneck: This variety of garlic generally does not produce scapes, those delicious edible flower stalks, but is great for braiding. You have to be cautious when selecting a variety with softneck types as not all varieties can handle our cold climate. - Hardneck: These do produce scapes, and generally handle our cold climate well. One of my favorite types of garlic, the purple stripe variety, is a hardneck garlic. - Elephant: This variety of garlic is related to leeks, and is famous for its large, mild cloves. Does need a mulch to make it through the winter. 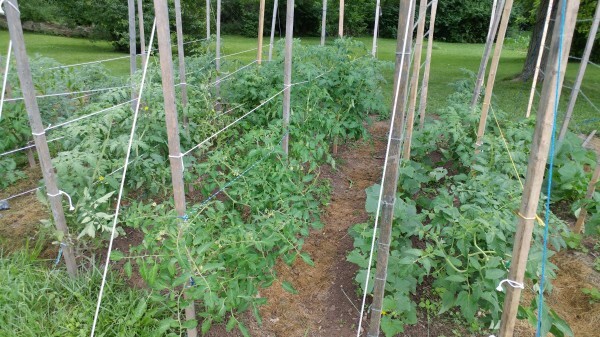 As we wind down a summer that will go in the weather record books as one of the top five wettest summers in the 119-year history of weather records at State College, gardeners face a late-season challenge to their plots. Along with all that rain, we’ve had a cool but humid summer. These are just about perfect conditions for all sorts of garden fungal diseases to lay waste to your remaining garden season. There are plenty of fungal diseases that can lay a hurt on your home garden production, but I am going to focus on two common and particularly destructive plant illnesses, late blight and powdery mildew. While many of us have a full garden by now, there may still be holes to fill due to rascally rabbits, devious deer, disastrous disease. Or, you just haven’t had a chance to get out and plant certain parts of your yard. No worries, believe it or not, there’s still time to plant summer vegetables (and soon time to plant fall vegetables, more about that in a future post). 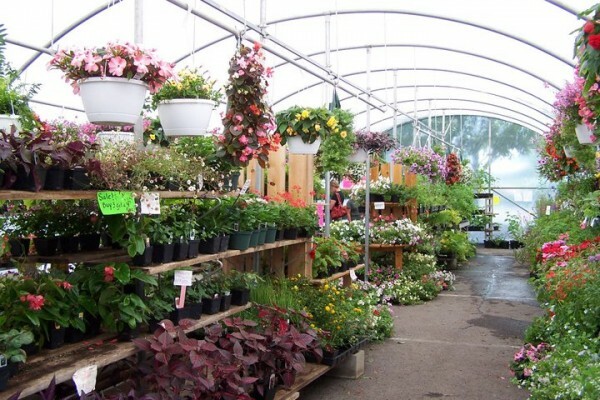 And there are bargains to be found at local garden centers/greenhouses. For vegetables, we basically have about 80-90 days left in our growing season, depending on where you live. So, any plant that matures by that time, you can plant and harvest. 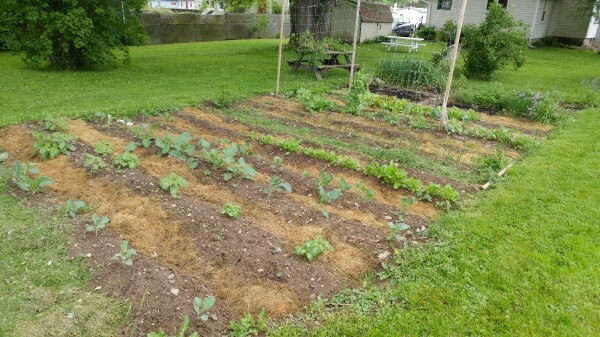 Two members of the Mount Nittany United Methodist Church have led an effort to create a “Giving Garden” on the church grounds to help address the issue of hunger in our community. Robert and Joanna Jones of State College got a double dose of inspiration from the documentary “A Place At the Table”, about food shortages in the United States, and a TED Talk by fashion designer and activist Ron Finley about guerrilla gardening in South Central Los Angeles. 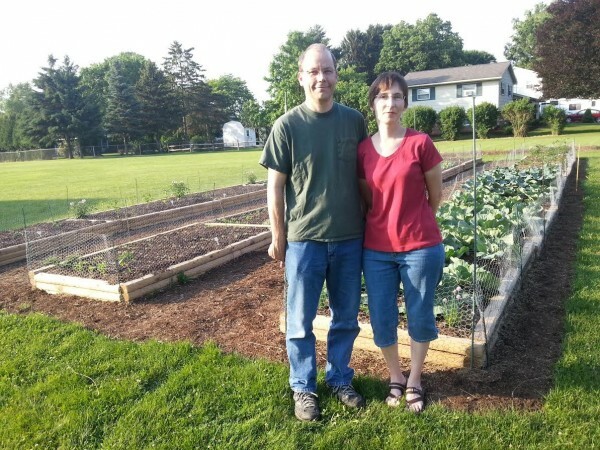 So, they decided to take action themselves and help address our local food shortages here in Central Pennsylvania with local food from a garden on the church grounds. 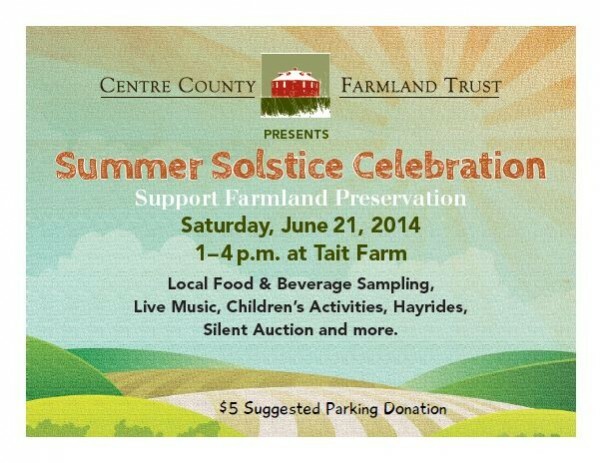 This weekend you can enjoy a summer celebration at Tait Farm, experience a garden via your five senses, meet PBS Kids’ very own Daniel Tiger, enjoy free wine and cheese tastings, and go back in time musically with The Dustbowl Revival. This is a really exciting time to be a local foodie, as the warm season is finally here (even though most mornings we still need a jacket). Because this is the time of farmers markets, outdoor festivals, etc. we are bringing back the Local Food Weekend feature. 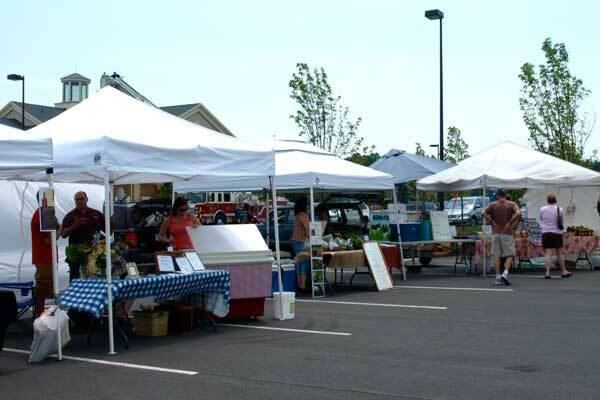 Each Friday we help you plan your weekend by highlighting some of the local-food related events going on Saturday and Sunday. There is no doubt that Anthony Hopkins is one of the finest actors of all time. In fact, he is so good, he actually managed to ruin the reputation of one tasty vegetable—fava beans. Even if you haven’t seen his role as the cannibalistic serial killer Hannibal Lector in the film The Silence of the Lambs, unless you live under a rock you’ve probably heard Hopkins’ character’s infamous quote about one of his devious meals, and how he accompanied it with fava beans and a nice Chianti. To this day, I’ve noticed that whenever you mention fava beans, that scene is mentioned. However, fava beans are not a horror, they are a tasty vegetable that has a long history as a food, going all the way back to the Romans and Ancient Greeks. Despite the relatively mild weather outside melting the snow, if we are being truly honest with ourselves, we know that winter is not over. Far from it, based on where we live. 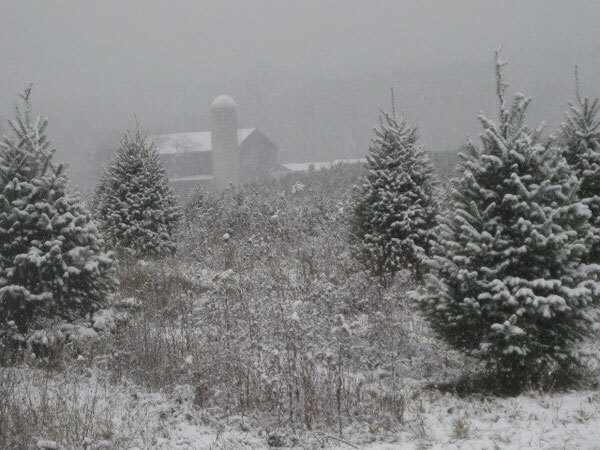 We know that it can snow into late April and even early May here in Central PA. The good news for gardeners is that despite the snow-covered yards, it’s soon time for us to start gardening. We need to start certain things from seed inside, giving the plants adequate time to sprout, grow, mature, and produce fresh goodness by the time summer ends. 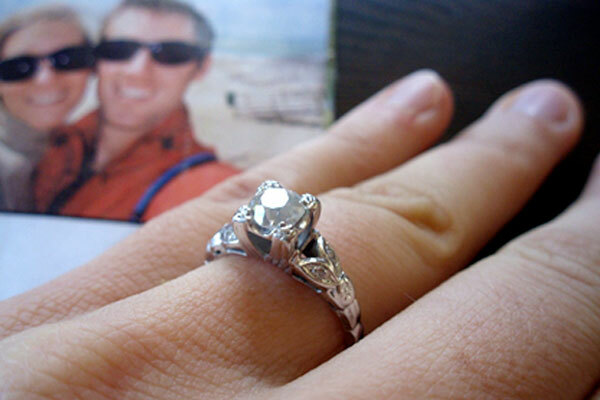 In fact, certain things can be started very soon or even right now, depending on your last frost date. Earlier this week, the coldest air in 20 years overspread Central Pennsylvania, dropping temperatures below zero. While shivering through a cold snap like that, it’s hard to imagine doing garden work. But there are still some chores you can do, either in the comfort of your living room or during one of our inevitable thaws that we have most every winter and will have this weekend. 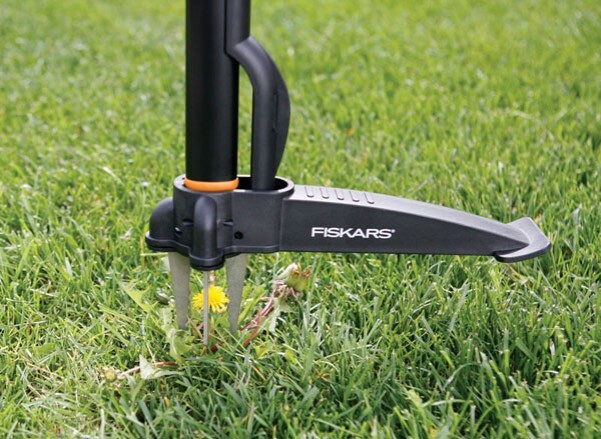 Getting them done now can help ensure a better harvest this spring and summer. I know that lots of people turn their thoughts to football and raking leaves once the days getting shorter and mornings are foggy and cool, but fall is really a good time to grow certain vegetables. While a lot of vegetables thrive in summer heat, there are a fair amount that prefer fall’s cool weather. And it’s not too late to plant; if you plant this weekend, you have anywhere from 37 to 52 days before this area’s average first freeze, depending on where you live. This weekend I was at a very nice event, a barn dance. In between promenades, I was chatting with some people about gardening, one of my favorite small talk subjects. As often happens when talking gardening, tomatoes came up. 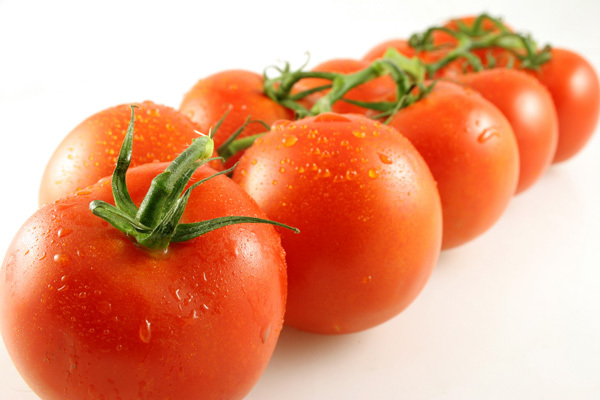 And as often happens when talking tomatoes, concerns about fruit not ripening came up. So, are there any ways to speed up the process? You just made a big pot of soup with all sorts of stuff you got from the farmer’s market. Now you have carrot tops, potato peels, yellowed greens, etc. Throw them in the garbage? No way! 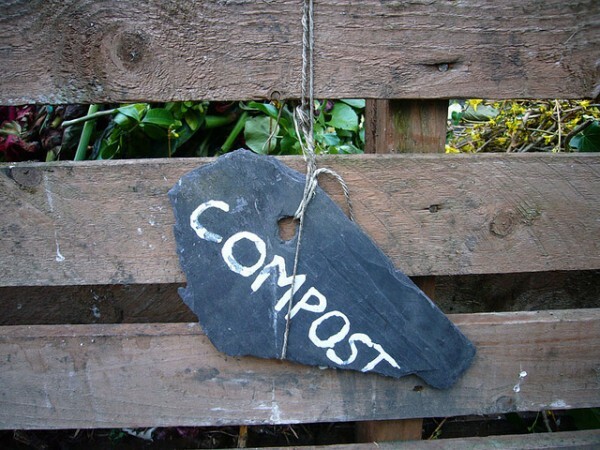 You have compost, not trash. Recently, several fellow gardeners and I discussed something that ended up being very interesting: how do you define a successful garden year? We came to a conclusion—it’s all subjective. 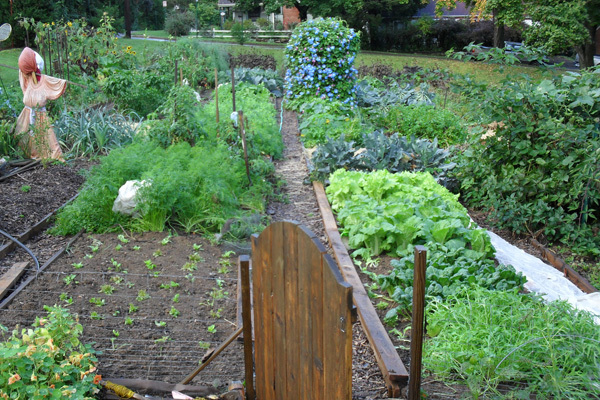 When you garden, you go into it with a variety of goals in mind. These might include fresh-grown herbs and veggies, saving money, or just making the yard look prettier. These are the yardsticks to measure a good garden year. 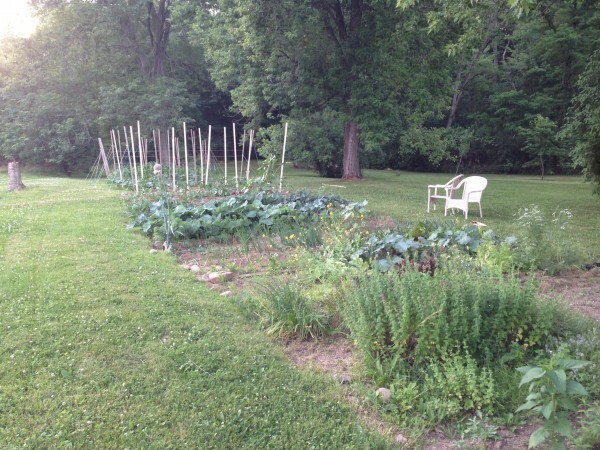 Continue Reading: Measure of garden success? Right now, people are beginning to harvest all sorts of stuff from the garden. Some of it is conventional stuff, like tomatoes. However, there’s a lot of food in gardens that many people ignore. Some of these may sound outright, well, weird—but give them a shot. They are the “best kept secrets” of the garden. I have heard before that a mild spring means a lot of rabbits the following summer. 2012 seems to be proving this true, as we have had both a warm spring and seemingly, a lot of rabbits. Please welcome our newest contributor, Dana Stuchul, founder of VeggieCommons—a resource for Growing Food Where We Live. At her home in State College, Dana has backyard chickens, a small apiary, a front-yard terrace garden, a backyard “mini-farm,” numerous fruit trees and shrubs, a roof-top water collection system (and bici-bomba, a bicycle powered pumping system), and a wood-fired bread oven. Take it away, Dana! Beans are a popular garden plant, with good reason—they are one of the tastiest vegetables in the garden. 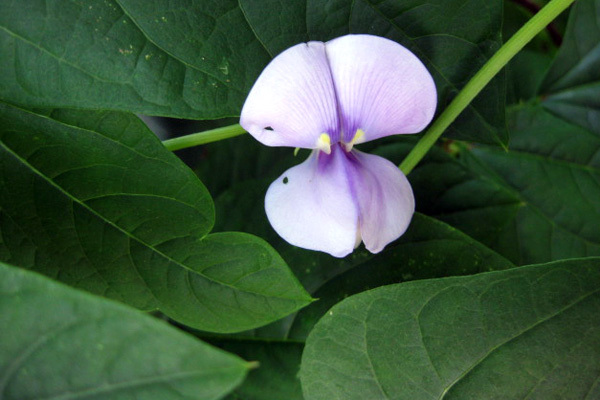 They are also pretty easy to grow, and with a little bit of TLC you can get quite a yield of tasty pods or shelled beans that can be used in all kinds of recipes. 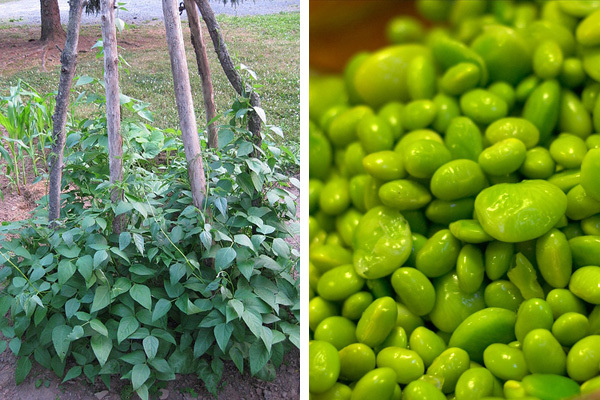 Beans are also a perfect garden crop for vegetarians because of their high protein content. What’s not to like? 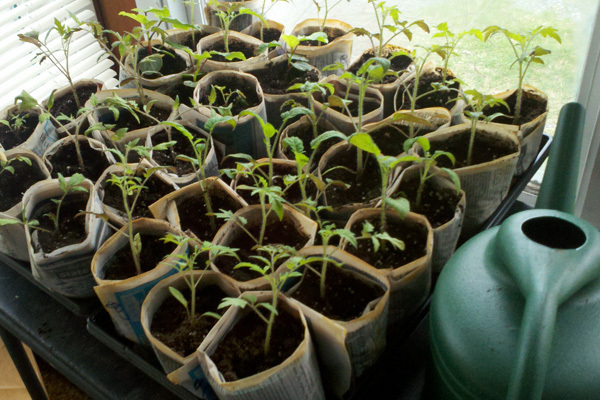 Whether you started tomatoes from seed or bought the plants at your favorite garden center or farmer’s market, transplanting them the right way is very important. Despite some recent backsliding into winter, spring weather is mostly here to stay. If you are like me, you are steadily spending more and more time in the garden, getting things growing to start the season. A good start is very important for a successful gardening season, as your plants are very young and tender at this point. Here are ten tips, in no particular order, to get your garden off and moving toward a big harvest. In my last post I talked about planting seeds indoors. And given that we are four to six weeks away from the last frost as I write this, you should have seedlings growing somewhere in your house. As you probably noticed, the weather in mid-March was more along the lines of early June. This caused some absolutely incredible early spring scenes as spring growth is about a month ahead of schedule—blossoming trees, daffodils in full display, and perennials peaking out of the dirt at a much earlier date than normal. For us gardeners, it was so tempting to get out there and plant something. So I did. 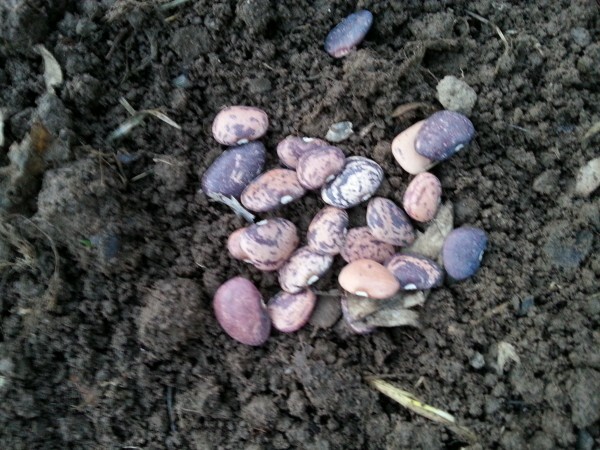 I planted several rows in my garden, knowing full well that they would need protection later from the inevitable cold snap. If you still haven’t planted, no worries—you still have lots of time to plant cold-hardy vegetables in your garden. 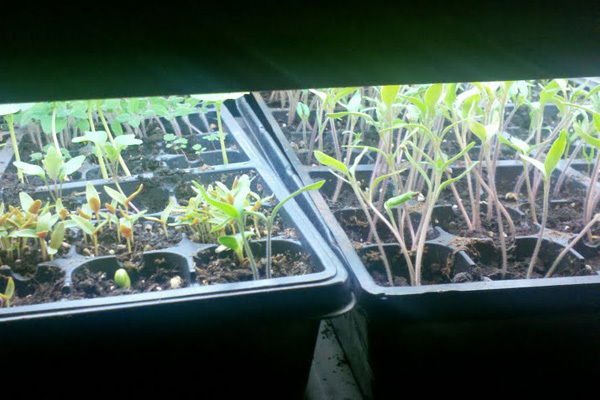 If you followed my last blog post, you should be ready to plant some seeds indoors. First things first, fill your cell flats with moistened potting soil or seed starting mix. You want it moist, not saturated. Next, plant the seeds. This is by far one of the most important tasks of your gardening year, and you need to make sure you do it correctly because, well, you want them to germinate. The weather has been warm lately, warm enough to start thinking about gardening. However, while the mild weather is great for daffodils, crocuses, and forsythia, it’s still too chilly to plant vegetables, especially frost-sensitive types like tomatoes and beans. You want to hold off planting those outside until early-mid May. 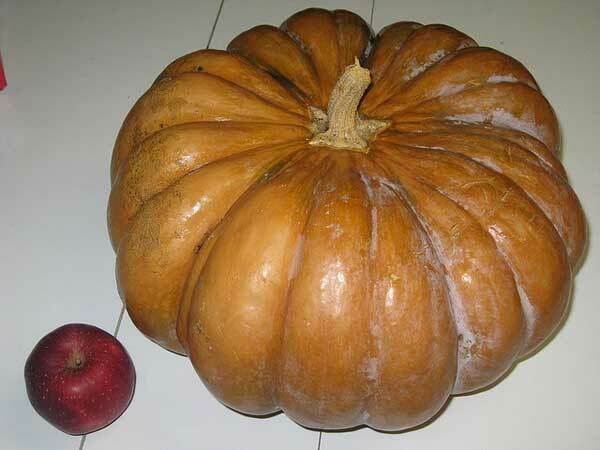 In my last post, I talked about the benefits of freezing vegetables to use in the winter. Now let’s look at another way of preserving your garden harvest—canning. Canning for me brings back memories of my mother and grandmother, who both canned. They canned stuff like pears, green beans, tomatoes, etc. Pretty much straight up, old-fashioned canning. During my garden harvest season, which stretches from summer through much of fall, I preserve a lot of what we get from our backyard in two ways—canning and freezing. I like to do both because of cooking flexibility. 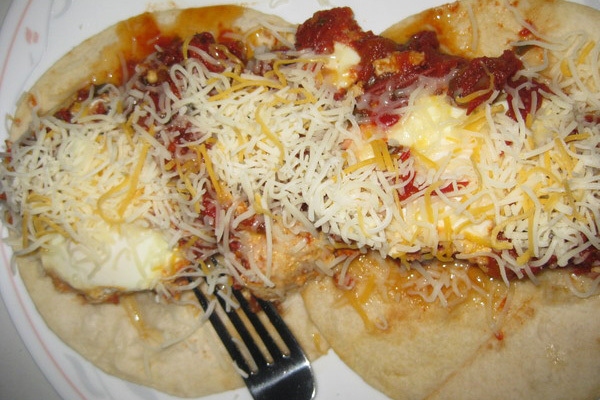 You can do a lot of great things with canning: sauces, relishes, pickles, etc. But freezing for me tends to be about just the vegetable/fruit. Don’t wait to make online seed orders for 2012 garden season! We are in the heart of winter, so buying garden seeds may not be the first thing on your mind. However, if you are planning on ordering seeds online (you will more choices online than you will in a store), now is the time to do so. 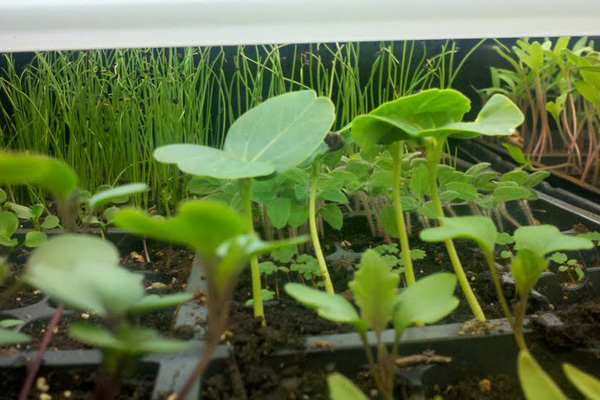 Continue Reading: Don’t wait to make online seed orders for 2012 garden season! Going to go a bit off-topic here, but I had to share this story with everyone who reads this blog. Gardening is something that often is done together by couples and who knows how many relationships are sparked at a plant sale or garden center. However, gardening is not really thought of something as romantic, per se. This week as we are adding more fall greens to the selection of choices, we are embarking on a project that will provide us with the ability to extend the season and have even more greens! 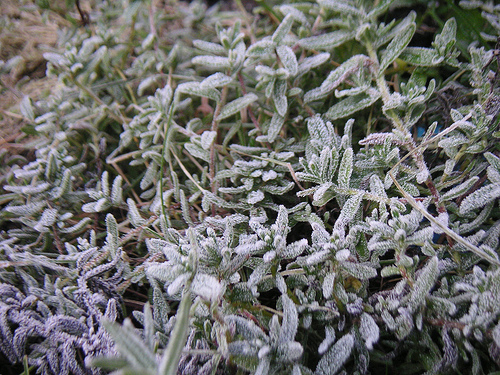 While we haven’t quite yet had a true killing frost, it’s inevitable - at some point, your 2011 garden will be covered in frost, and soon after, snow. The garden will go to sleep until it warms again, but there is some work yet to do on your garden that will make things easier next spring. Time to put it to bed. Just 20 years ago, the selection of produce was nothing like it is today. Iceberg lettuce, round red tomatoes, green bell peppers, regular orange carrots, and plain potatoes ruled the supermarket shelves. However, today the expansion of the American palate is quite evident. Sushi is found in supermarkets. An imitation of a latte can be found at a convenience store. Ethnic restaurants such as Indian, Thai, Austrian, and Korean can be found in central Pennsylvania. And the broadening selections for the home chef have expanded culinary horizons, as well. Home vegetable gardens are an ideal and super-local way to get fresh, delicious produce, but they can also be a beautiful addition to your yard. 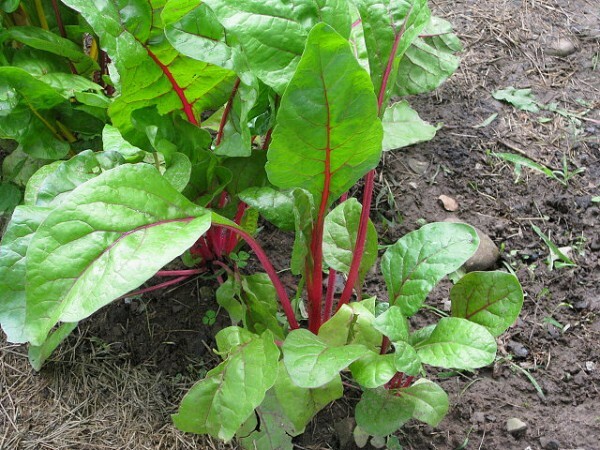 Many vegetable plants not only taste great, they look great, too—and not just on a plate. Please welcome Jamie Oberdick to the Local Food Journey! Jamie is an enthusiastic home gardener who grows a variety of plants from around the world in his Centre County backyard. Take it away, Jamie! A lot of people think of vegetable gardening as a spring/summer thing, and you shut it down in the fall with the exception of the last pumpkins. Actually, there are plenty of different vegetables that thrive in the cooler conditions we have in fall in central Pennsylvania.